At Apex Physiotherapy we offer personalised and individualised equipment exercise rehabilitation programs, designed and supervised by trained Physiotherapists. 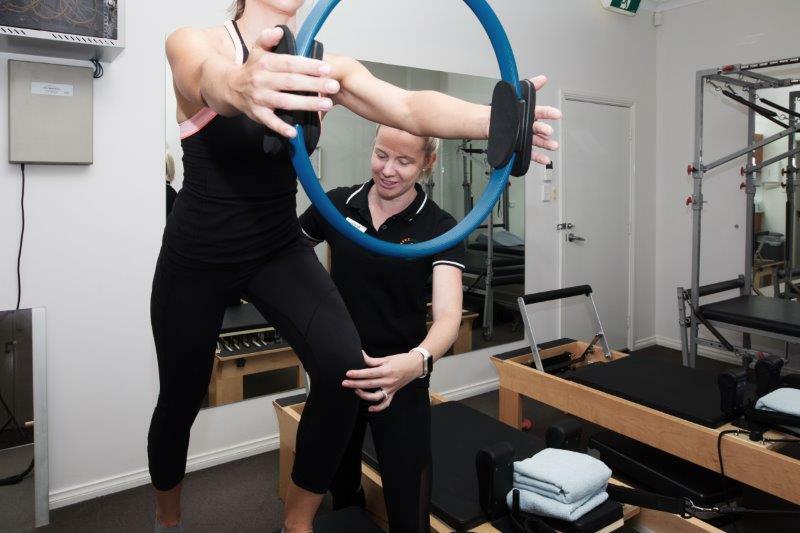 Individualised, Physiotherapist-led equipment exercise rehabilitation programs are available at our Bicton location. We offer both small group (maximum of 3 per class) or one-on-one sessions for those starting out or requiring a higher level of supervision. All participants will start with an assessment by our highly-trained Physiotherapists in order to develop an individualised program based on your specific goals and assessment findings. 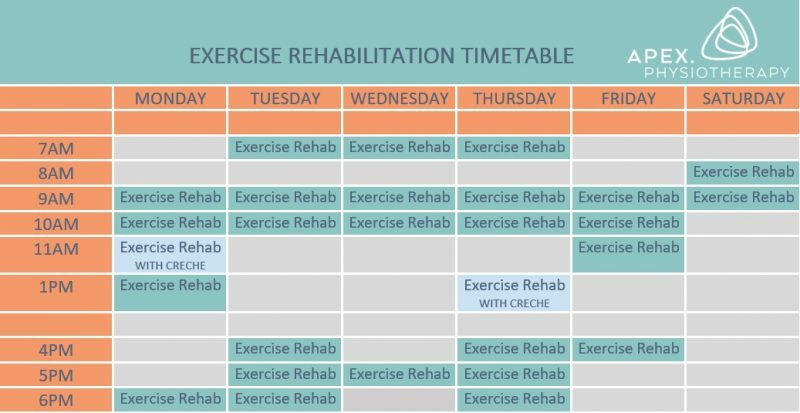 Our exercise rehabilitation sessions are a mixture of clinically appropriate exercises, which may include exercises delivered on Pilates equipment or exercises drawn from Pilates which target your particular needs. All exercises are delivered within an evidenced-based and therapeutic framework, rather than purely for fitness. Exercises are designed not only to reduce pain but are specifically tailored for you to build strength, restore movement and correct alignment to stop injuries from recurring. We use spring loaded equipment to ensure beginners who may have difficulty with floor exercises can start strengthening at an appropriate level. This also allows us to advance individuals who require a high level of strength and conditioning for various sporting and work requirements. Exercise rehabilitation helps to improve posture, mobility and flexibility, improve core strength and stability, improve athletic performance and prevent injury. It can also assist in the treatment of ongoing back and neck pain, pre and post natal recovery, pelvic floor rehabilitation, pre and post operative recovery, arthritic and joint pain. It has been proven that exercise in a group setting and under supervision is more likely to result in ongoing compliance and lifestyle changes around health and fitness. We run these sessions in a great friendly environment and can’t wait to have you join us and start living your best life! To download our latest timetable click HERE or see below.